In the San Diego suburb of Rancho Santa Fe on March 26, 1997, police found 39 people dead in a spacious Spanish-style mansion from what appeared to be a carefully choreographed mass suicide. It was quickly discovered that the deceased were all members of the “Heaven’s Gate” cult. They believed that the appearance of the Hale-Bopp comet was their cue to leave Earth to hook up with a spacecraft that would bring them to the next level of existence. 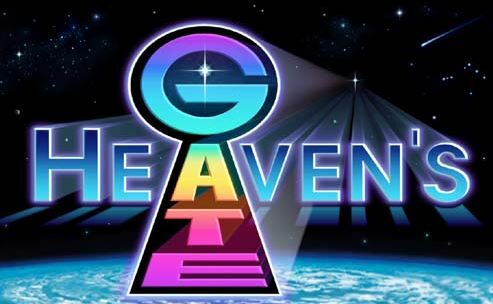 Marshall Herf Applewhite, a music teacher with serious mental health issues, and Bonnie Nettles, a nurse who treated him while he did a stint as an inpatient at a psychiatric hospital, founded the Heaven’s Gate cult in the 1970s. They preached to their followers that as Heaven’s Gate members they would shed their earthy bodies and ascend to higher levels of being. Applewhite made a videotape on March 19, 1997 explaining the reasons why it was time for Heaven’s Gate members to depart the Earth with the arrival of the Hale-Bopp comet. Just a few days later, Applewhite and his followers – which included 21 women and 17 men between the ages of 26 to 72 – began committing suicide in orderly shifts over a period of three days. To end it all, they ate applesauce or pudding mixed with toxic amounts of the sedative Phenobarbital and washed it down with vodka. Then they stretched out on their beds face up and pulled a purple shroud or a plastic bag over themselves. Alarmed, he went to the mansion, discovered the mass suicide, and called the police. It was like being in the Twilight Zone. We were wandering from room to room to room, and every room we went into we were finding bodies. You’re thinking: ‘When is this going to end? How many bodies are going to be in here? How many rooms are there to this place?’ Because every room we went in had bodies stacked up like cordwood. Well, the first thing to say is they’re not dead. They achieved eternal life. That’s the way they saw it. They were achieving a higher state. They were transcending the human condition.